Once you've mastered making your own pizza dough at home, the real fun begins: exploring all the endless types you can make. Of course, part of the beauty of pizza is the almost-limitless opportunity for creativity with the toppings, but here are some standard topping combinations commonly found in Italy to get started—and inspire your own creations. This is also a handy guide for those planning a trip to Italy, to help you with ordering in pizzerie, because it's not always obvious which type of pizza comes with what, and some pizze in Italy can be quite confusing to the average American—for example, a pepperoni pizza in Italy (note that there is only one "p") is a pizza topped with bell peppers, not spicy salame (which is called salamino piccante). 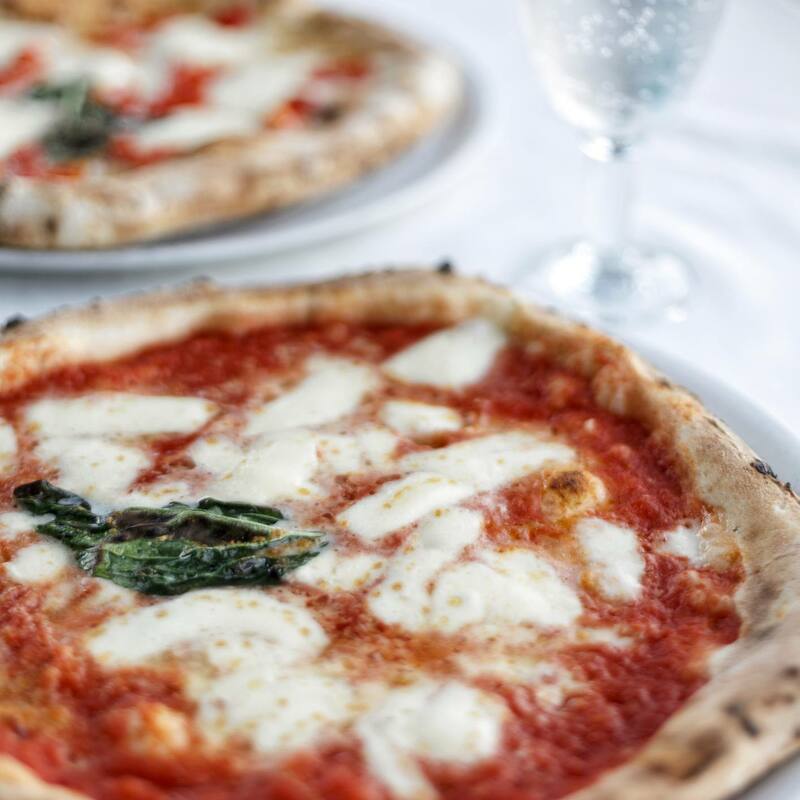 Italians usually drink beer with pizza, but if you're looking for a wine to pair with it, try a light, zesty red, for example, a Chianti d'Annata, or a Valpolicella Classico, or something even zestier, for example, sparkling red Lambrusco. Spread the tomato sauce on the dough, distribute the rounds of mozzarella evenly, drizzle with a few drops olive oil, add the basil and bake (some people add the basil after baking). Spread the tomato, and sprinkle it with the cheeses; the pizza will look almost white. Place the olive in the center (if using) and bake. 1/2 cup tomato sauce or chopped canned tomatoes. Spread the sauce over the pizza, sprinkle the garlic, drizzle with olive oil and bake. This super-simple pizza is cheeseless (perfect for vegans or the lactose-intolerant) and might also be sprinkled with a bit of oregano. Spread the tomato sauce over the pizza, dot it with the remaining ingredients, drizzle with a few drops olive oil and bake. Spread the tomato sauce on the dough, distribute the rounds of mozzarella evenly, drizzle with a few drops olive oil, bake. After baking, top with arugula and whole prosciutto slices. This fantastic pizza is basically a margherita with a generous handful of fresh, peppery wild arugula (rocket in the U.K.) and whole slices of prosciutto added on top after baking. 1/2 cup tomato sauce or chopped canned tomatoes, 2 to 3 ounces finely sliced ham, and 1/4 pound shredded mozzarella. Spread the tomato sauce, sprinkle the other toppings over it, drizzle with a few drops olive oil and bake. Spread the tomato and the mozzarella, arrange the other four toppings each in its separate quarter of the pizza; sprinkle with grated Parmigiano-Reggiano (if using), drizzle with a few drops olive oil and bake. Lots of variabilities, though the vegetables used are almost always cooked: stewed peppers, stewed or grilled eggplant or zucchini, artichoke hearts, spinach, etc. Spread the tomato sauce, arrange the vegetables on top. Drizzle with a few drops olive oil and bake.